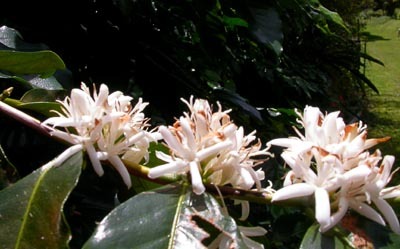 Kona Coffee blossoms. When an orchard is in full bloom it’s called ‘snow’ as in Hawaiian Snow or Kona Snow since the coffee trees are chocked-full with these fragrant white flowers like there was a snowfall. Bees also like these flowers and some keepers sell Kona Coffee blossom honey. Kona Coffee growing on the tree. 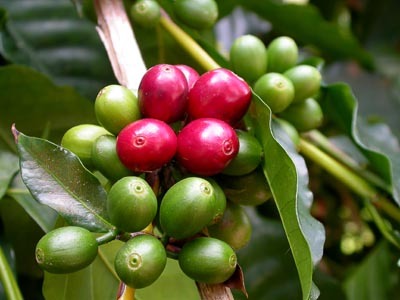 When the berries turn red they’re known as coffee cherry and are ready to pick. Not sure how this coffee season will be.